Soda diet recently gaining more and more popularity among women. Simple and affordable diet reveals the secrets of how to drink soda in order to lose weight. But let's see how safe to health and this method. The author's recommendations of the use of soda in order to lose weight, is unknown. But the psychology of human he was clearly not alien. It is not the first decade of the women maintained an uncompromising war with the superfluous weight, and altace to catch not only big money but also health. And this despite the very affordable alternative to exclude from the menu of harmful products and simple physical exercises. Most people want to lose weight suddenly and permanently without any undue effort, and soda, in their opinion, the best way to achieve the goal. The last item should be considered in more detail. Soda when you use it inside shifts to the alkaline side of the acid-alkaline balance in the body. As a result of contact of baking soda and gastric acid a vigorous reaction occurs, which reduces the aggressiveness of hydrochloric acid and digestion of fats slows down. It is on this aspect indicate the sources offering to drink soda for weight loss. Only the authors of these ideas are often silent about the pitfalls of this method of weight loss. Surely everyone knows that, diluted with water, soda relieves heartburn. It's very simple only at first glance. Doctors do not approve of such violence against the body. In order to understand them, you just need to remember where the baking soda was the most common. Of course it is cooking, and there used baking soda as baking powder. For example, violent reaction with evolution of gas and foam that occurs when you add the soda in water, acidified with vinegar, you can imagine what happens in the stomach after drinking soda cocktail. Naturally, the acidity is reduced, but suffers from delicate mucous membrane lining the stomach. Regular use of sodium bicarbonate causes bleeding ulcers on the stomach wall. Due to the slowing down of metabolic processes disturbed lipid metabolism. And nutrients needed for the operation of all systems and organs, not absorbed by the body. "Acid rebound" - a medical term. This phenomenon will inevitably have to face drinking soda solution for weight loss. Permanent clearing of gastric juice by the alkali becomes a signal to the body to produce high levels of acid. He does not understand that the owner does this in order to lose weight. Soda is a substance that is familiar to many. It is in almost every home. But not everyone knows what it is and how to use it. And even more rarely think that soda is the real chemical. Under the familiar name of "baking soda" is hiding of the sodium bicarbonate is NaHCO3 and the acidic salt of carbonic acid. Is a soda usually bnly crystalline powder, which is for the most part intended for cooking, but can also be used in other areas of the household. 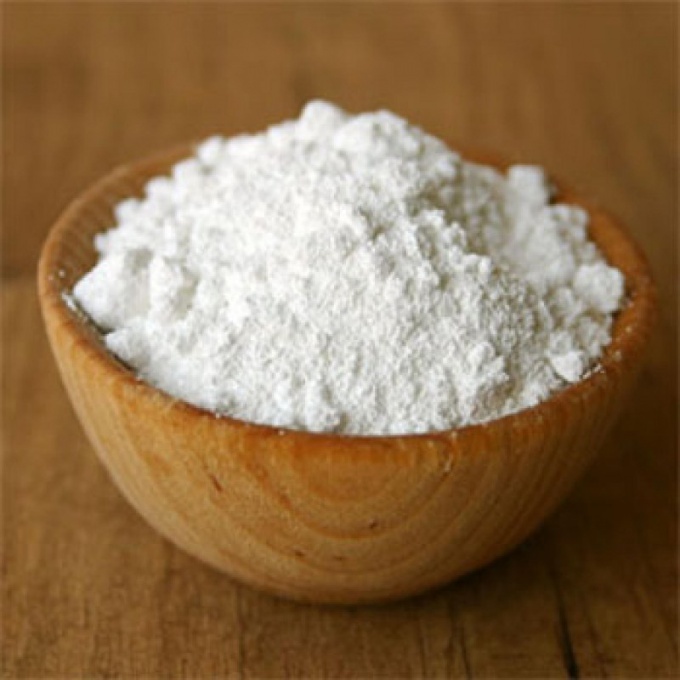 History of baking soda begins with the end of the 18th century, when this powder was invented by the French chemist LeBlanc. And the first discovery of this was a secret, and documents the research inaccessible to ordinary people. Given the fact that today soda, which is quite inexpensive, is everywhere, it's hard to believe. The massive availability of soda began only after it was invented the new way of receiving it. At this time, it was designed only for use in confectionery. Today soda is used not only in cooking but also in the household, and medicine. With her help clean the dishes, wash working surfaces, get rid of grease and dirt on sinks, etc. in addition, soda is widely used for the treatment of various diseases. Especially popular for these purposes, the soda drink. Its characteristics are soda has a number of distinctive features. So, for example, soda is not toxic, fire and explosion proof. It has a salty taste, sometimes referred to as soap. If soda powder gets on mucous membranes, it causes irritation. Therefore, it is not recommended to work permanently in the atmosphere contaminated with dust sodium bicarbonate. Soda water is obtained by the interaction of soda powder and plain clean water. Cooking soda is usually used together with vinegar. Slightly dampen them to appeared on the surface of the bubbles and then added to the dough. This method helps to make the dough more doughy and airy. The use of soda in medicine is a lot of variability. Because it can be used both topically and taken orally. For example, the baking soda dissolved in warm milk, is an ideal remedy for cough. Because soda is great liquefies phlegm. It is worth considering that physicians not always support the optimism of the inhabitants on the use of baking soda. Not recommend the use of soda done only after consultation with your doctor. You can also use baking soda as a remedy for gargling. Widely used sodas and to treat the common cold. Same with abundant secretions recommended to conduct flushing of the sinuses with soda. Treat soda the eye when there is inflammation, arrhythmia, hypertension and a whole list of diseases, which can enter and serious enough problem. Household soda is used instead of scouring powder. Moreover, according to observations and research, the soda helps to cope with household dirt much better than the usual advertised funds.